Make your special occasion memorable with Cheaper Than Therapy. Are you celebrating a birthday or anniversary, throwing a bachelor(ette) party, or hosting a team-building activity? 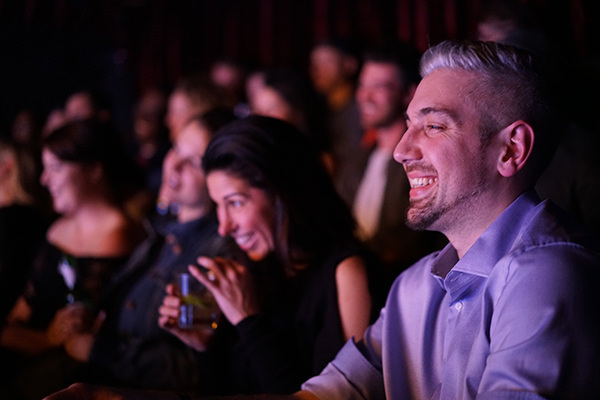 Cheaper Than Therapy accomodates parties of up to 75 people at our comedy club and parties of any size at a location of your choosing. Looking to have live music and food catered? Share your special requests with us, and we’ll coordinate everything for you! You can also buy gift tickets either to pair with your special event or to give as a standalone present. Please note that gift tickets are non-refundable and cannot be used for special shows, such as (but not limited to) New Year’s Eve. Thanks for sharing your event details with us! We’ll get back to you within a few days.